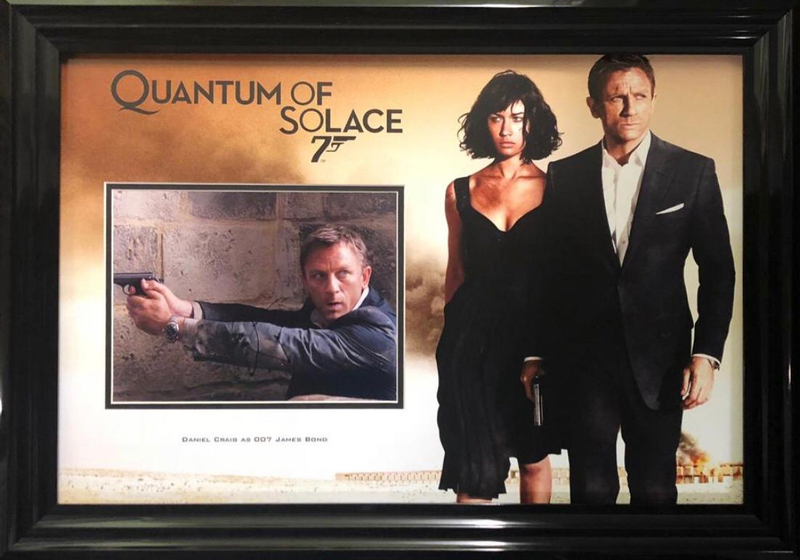 The item you are purchasing is a 10x8 photo, which has been personally HAND signed by Daniel Craig. This photo has been professionally bespoke picture mounted and framed. A truly stunning piece of memorabilia. This overall size of this framed item is approximately 27"x19".